A record of embroidery classes that we ran in Harrow, north west London, made by filmmaker Monica Alcazar. 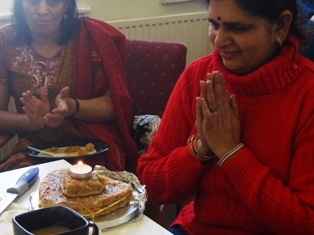 As happened at other classes – interesting conversations and celebrations evolved. These classes took place in spring 2011 in Harrow, north west London. We ran them in collaboration with the Asian Women’s Resource Centre, Harlesden, and were funded by Faiths in Action, through Communities and Local Government.